I am a fast reader. I am usually a very fast reader. I am not telling you this simply to show off. No. I am trying to justify why I only gave myself two days to read Juliet Jacques book Trans: A Memoir ahead of my interview with her. A memoir. Surely just a few anecdotes about her gender reassignment surgery and an emotional tell-all ending. How long could it take? Two chapters in and a long google search history of the names of theorists, filmmakers and musicians already amassed, it became perfectly obvious that I was not going to finish on time. Let me be clear, my slow progress is nothing to do with the quality of Juliet’s prose, which is clear and conversational and meant that I already felt like her friend when we did meet, on a chilly Friday morning at her favourite gig space in Dalston. But there is something much more complicated about Trans that makes its subtitle ‘A memoir’ feel unsuitable. 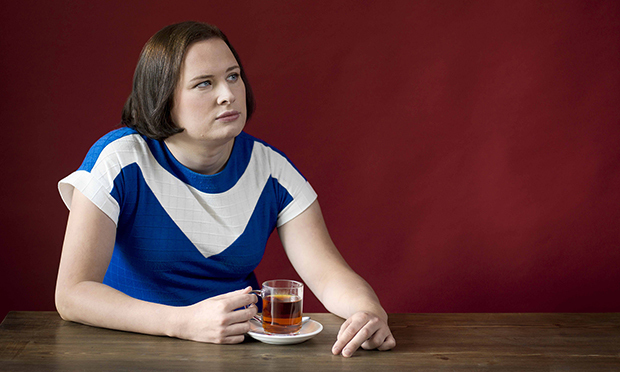 Adapted from a series of articles that she wrote for the Guardian between 2010 and 2012 and which detailed her journey towards and through transition, Trans is part personal history, part political critique, part cultural commentary. Just when you think you know where the story is going, it twists and turns and Jacques embarks upon another analysis of a writer or filmmaker you know you should have, but haven’t, studied. A conversation with Juliet is every bit as challenging and compelling. Possessing that rare combination of an academic brain with a taste for pop culture, she is just as likely to mention Morrissey as she is to quote Jacques Derrida. She is strongly political, rolls her eyes freely and has a composed, quiet confidence – no doubt hard won – that makes her relaxing company. I have almost finished my coffee before we even start to talk about her book. Trans seems to move through so many genres, it resists labels or easy definitions. That seems like something reflected in your experience of gender in the book, as something that didn’t need to be pinned down or fitted neatly in one category. Was that intentional? Juliet Jacques: There is definitely a link between wanting to play with genre and with gender in the book. Derrida made a lot of play of the fact that in French the word for gender is ‘genre’ so the French for transgender is ‘transgenre’ which appeals to me a bit too much, so yes, there’s definitely that formal link. I spent a lot of time studying very experimental literature and all of that does come into it. I’m not exactly sure that’s what the publisher wanted by that’s what they got. But at the same time, the book feels like a classic ‘coming of age’ story. Your identity as a trans woman informed your struggles with loneliness, finding friends and figuring out your life, but I felt that the book connected with me on a more universal level too. JJ: It was really important to me to move the book into a wider space because by making the book resonate with people on a more universal level, I could make them connect more with the trans stuff and so make it more understandable. I think there has been a big gulf in understanding about trans stuff for a long long time which now a lot of us are trying to close down a bit. I didn’t want to just talk about the gender identity process I also wanted to talk about having a Tory education, a Blairite graduation, and you know, how it felt to live in Britain in the 90s and noughties and turn of the Decade. All of that was really interesting and that meant bringing in the culture and politics. The book is packed with cultural references. If you could give your 16-year-old self a reading list of culture, what would be at the top? JJ: I would definitely give myself some difficult books but I think they would be worth the effort. Gender Outlaw by Kate Bornstein, maybe Transgender Warriors by Leslie Feinberg. The thing is, when I was 16, there really wasn’t that much out there, whereas now it’s the opposite. There is so much stuff and I don’t know where you would begin. I wouldn’t just give people things about trans and queer stuff though. I would give them just things about figuring yourself out, about it being OK to be different and weird. There’s not enough of that now. At one point in the book you describe in detail the transphobic ending of the film Ace Ventura: Pet Detective. It makes for uncomfortable reading. Would that kind of film still be made today or have we moved forwards? JJ: I think that film might be worked slightly differently but there’s still a genre of gross-out comedy that is willfully dumb. For them, taking the piss out of trans and gender variant people is still a thing. I don’t know how I feel about it really. On one hand I don’t enjoy feeling like I’m doing something censorious by rising up against it, but on the other hand, it’s lazy and it’s boring. I hate having to waste my time getting annoyed about it. We have bigger fish to fry but, come on, just stop it! But in general, I don’t think we’re going in the right direction culturally at all. Even in the 1990s you could see what an utterly corrosive thing Britpop was, you could see that it was going to make things formally and politically reactionary which it has. That’s had a really bad effect on counterculture generally and I think it’s extremely bad news for the trans community. At one point in the book, you say that social media kept you sane. The internet can be such a toxic space for marginalised people. How do you reconcile those two aspects? JJ: At times it kept me sane but it also drove me nuts at others. It kept me sane in the hospital because with social media, even when you’re alone you’re not alone. It was really good to just be able to chat to other people. I tweeted so much, I think I sent 2000 tweets while I was there. I was pretty prolific. Even if it wasn’t interesting for anyone else, it was quite a cathartic thing for me to do. Is it a good space to open up discussion about issues that don’t usually get talked about? JJ: I’m very bored with it now, that’s why I’ve come off Twitter. My main problem with it is that it’s just not very forgiving. Not everyone who uses outdated or wrong terminology is doing it out of malice or spite. It’s not very encouraging environment to write or speak in. I might say the wrong thing or use a word I’ve missed a memo on, and that is stripped out of its context into a free standing sound bite that leaves the room before you do and by the time you catch up with it it long out of your control. I became so self conscious with it, I just ended up not being able to say anything. Any time I said something, I was just like “why are you saying this? who is it for?”. It became unusable. You say in the book that writing allows you to be yourself. How have language and words played a part in your identity formation? Writing is a big part of self definition. A lot of the fiction I was writing before I started transitioning and while I was trying to work out what I wanted to do with this gender impulse, a lot of it was just working it out through creating different characters and saying “well, is my future there, or is it there? or there?” Or being more playful with it than I could in real life. It’s really useful to have that space to experiment. The book is full of political commentary, overt at times, subtle at others. How does politics impact upon your position as a trans woman? JJ: Everything is political, absolutely everything. There is nothing in life that is not infused with politics: how you dress, how you speak, what you eat, every minor detail. My body is so politicised. Transsexual and transgender bodies are the subjects of so much discussion, about whether they’re acceptable, usually by outsiders, scientific analysis, questions about the economy and money in relation to my body and how I want it to be. All women’s bodies are politicised, especially trans women’s bodies. I wanted all those things to come through. And how is the political landscape looking for trans men and women today? JJ: Austerity is a worry. Lots of LGBT services have closed down, support groups, meeting places, the assault on the NHS in general and trans services are getting really really stretched and it means it’s harder for us to get hormones and surgery. There’s been a huge rise in the last decade of people going in for treatment and there aren’t enough people, particularly surgeons, to deal with it. That’s a real problem. And then you couple that with the left turning on us, again. It doesn’t look good. I think we’ve spent the last 15 years drifting towards fascism and I think we’ve reached the cliff edge. Just look at the elections in America and Europe. It’s particularly dispiriting in the wake of something like Donald Trump which will have very long term economic and social impact on trans people wanting to be able to use the bathroom without getting killed. I won’t even speak on record about what I feel should happen to Nigel Farage. Farage being pitched as an ambassador…this guy’s failed about seven times to become MP for flipping Margate. Just get out! JJ: I did a history degree and there is a radical socialist model of history which is based on victory and defeat which states that you often having to fight the same battles over and over again. The older I get, the more I subscribe to that model. I think people are going to have to fight a lot of the battles that I’ve just fought again. And it’s incredibly frustrating. But it’s one of the times where the internet and culture can be really useful. You put these ideas out there and they permeate. There is still virulent transphobia, but I think there’s a bigger group of people willing to stand up for us now than there was ten years ago. That’s sort of optimistic, isn’t it? Let’s leave it at that. Trans: A Memoir is now available in paperback. On the 8th December Juliet will be at Hackney Pages in conversation with one of her favourite journalists, David Stubbs. Tickets are available here.